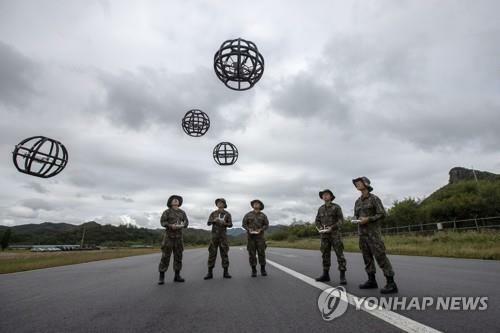 SEOUL, April 17 (Yonhap) -- The defense ministry said Wednesday that it plans to establish a defense "big data" system this year as part of efforts to enhance the military's logistical capabilities by harnessing cutting-edge technologies. It is one of the ministry's 18 plans to be pushed for this year under the Defense Reform 2.0 initiative aimed at creating a smaller yet smarter military. In order to maximize big data analysis, the ministry plans to set up the integrated military logistics information platform by the end of this year to replace the current fragmented structure. It also seeks to adopt 3D printing to produce component parts of old military equipment and to introduce drones for the efficient transportation of military supplies to remote areas. 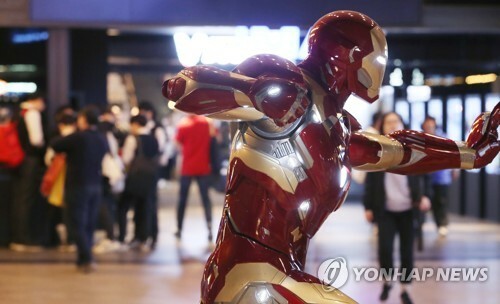 "Logistical innovation is crucial in managing our massive military assets, related budgets and ultimately the troops in an efficient fashion," Vice Defense Minister Suh Choo-suk said during a meeting on defense logistics reform, calling for the active utilization of technologies related to the fourth industrial revolution. The value of the country's military supplies totaled 106 trillion won (US$93.38 billion) as of end-2018, and the 2019 budget for military logistics stood at 7.5 trillion won, which accounts for around 16 percent of the total defense budget, according to the ministry.